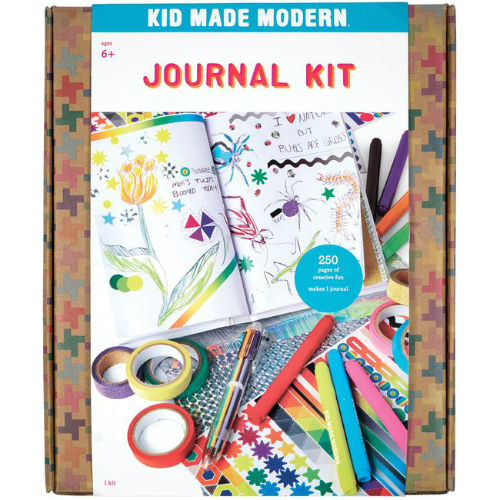 The Kid Made Modern Journal Kit features 250 pages of creative fun. 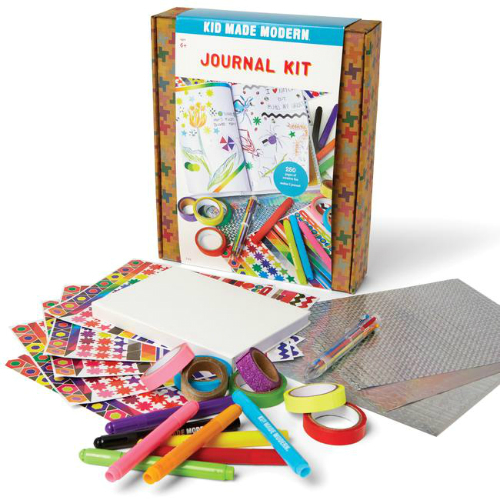 Express yourself on the outside of your journal just as much as you do on the inside. 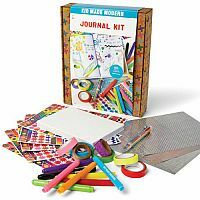 Our design your own journal kit has plenty of supplies to customize the 250-page notebook with markers, stickers and decorative tape. 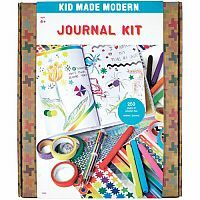 Once you’ve decorated the cover, use the blank pages inside for doodles, drawings and musings all your own. 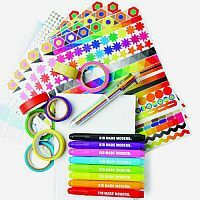 Kit includes everything you need for your creativiity and thoughts. Markers, glitter tape, paper rolls, holographic sticker sheets, other sticker sheets and journal. 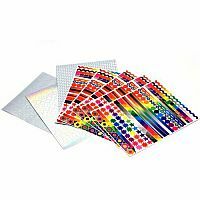 Measures approximately: 9.25 x 11.00 x 2.25 inches..